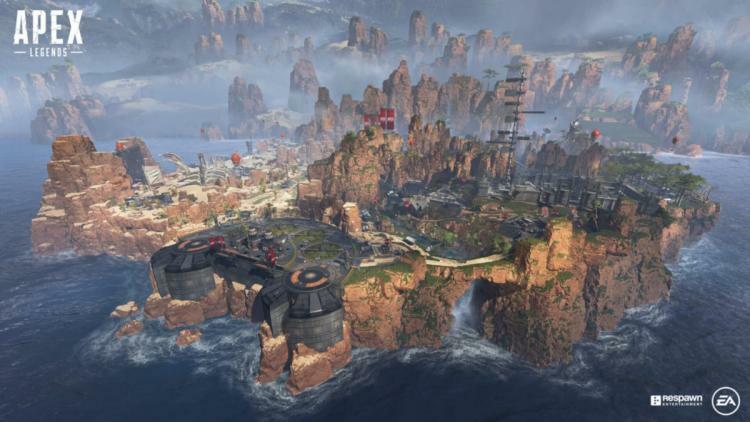 The announcement and release of EA Respawn's APEX Legends, a Battle Royale FPS based on their TitanFall IP, took many by surprise yesterday. Nonetheless AMD are quick off the mark with the first Radeon Software Adrenalin 2019 Edition driver of the month, an update that is designed to offer optimisations for the new game from day one. Radeon Software Adrenalin 2019 Edition 19.2.1 highlights improvements for three specific games including APEX Legends. The Division 2's Private Beta gets some understandable love given it's a title included with AMD's current free game bundle, but so does the slightly more venerable Assassins Creed: Odyssey. Performance improvements for the latter should make it a must-have download for most Radeon users, even if 5% for Radeon Vega 64 owners doesn't sound like much on the face of it. As is tradition, AMD also incorporate a selection of bugfixes with this driver release. The Radeon ReLive and Radeon Settings utilities once again get some TLC in this regard, but so does BattleField 5 and Anthem (despite the latter not officially launching for another fortnight). Known issues are also highlighted, slated to be addressed in an upcoming release. Radeon Software Adrenalin 2019 Edition 19.2.1 is compatible with 64-bit versions of Windows 7 and 10. Discrete GPUs dating as far back as the HD7000-series are supported in addition to a selection of Radeon-powered notebooks. - Mouse lag or system slowdown is observed for extended periods of time with two or more displays connected and one display switched off. - Upgrade Advisor may fail to load compatibility information for games when the gaming library is very large. - Pixel Format settings may not retain after system restart. - Scene Editor may have issues with scrolling when many elements are added to a scene. - Custom settings in Radeon WattMan may sometimes fail to apply on Radeon RX Vega series graphics products. - Game and VR Streaming options may be missing in Radeon Settings after a clean installation or Radeon Software upgrade. [RS-285] Testing conducted by AMD Performance Labs as of January 31, 2019 on the 8GB Radeon™ RX Vega 64, on a test system comprising of Intel i7 7700K CPU (4.2 GHz), 16GB DDR4 memory, and Windows 10x64.PC manufacturers may vary configurations, yielding different results. Assassin’s Creed Odyssey (DX11) with the High preset at (1920x1080), when running Radeon™ Software Adrenalin 2019 Edition 19.2.1, the Radeon™ RX Vega 64 scored 61 FPS while Radeon™ Software Adrenalin 2019 Edition 19.2.1 scored 64 FPS. Therefore, in the above comparison, Radeon™ Software Adrenalin 2019 Edition 19.2.1 shows 5% greater performance. Performance may vary based on use of latest drivers.